Soeben flattert diese Meldung in unseren e-Briefkasten, derzufolge der GPS-Pionier Garmin und Netbook-Revolutionär ASUS künftig zusammenarbeiten und unter dem Namen Garmin-Asus Co-Brand-Mobilfunkprodukte auf den Markt bringen werden. Das erste Produkt wird ein das bislang als „nuvifone“ bekannte Handy sein, dessen finaler Verkaufsname nun „nuvifone G60“ sein soll. Das nuvifone G60 soll noch im ersten Halbjahr 2009 auf den Markt kommen. Verschiedene weitere Garmin-Asus-Smartphones sollen ebenfalls dieses Jahr präsentiert werden. Übernächste Woche in Barcelona beim MWC werden die neuen Partner voraussichtlich das zweite Garmin-Asus-Modell vorstellen. Mobile World Congress trade show in Barcelona, Spain, February 16-19, 2009.
to offer market leading mobile phone solutions that are of the best design and highest quality. based social networks and integrates them seamlessly into one device. (10:00 am CST). Webcast details are available at www.GarminAsus.com/pressroom. interviews. Additional information is available at www.GarminAsus.com. 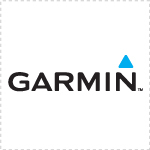 Garmin is the global leader in satellite navigation, and has sold more than 43 million devices. devices in 2007 by more than doubling its shipments on 2006 and increasing its market share. approximately 50 percent share in the U.S. and a 20 percent share in Europe. on over 500 different phone models. ranking fifth in the world in Q3 2008. 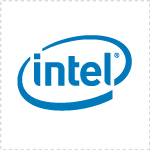 The company’s 2008 revenues reached $8.2 billion (U.S.
of $1.324 billion (U.S. dollars). that position ASUS as a leader in mobile phone design. is a registered trademark and Eee PC is a trademark of ASUSTeK Computer Inc.
product delivery dates are forward-looking statements. Such statements are based on management’s current expectations. update or revise any forward-looking statement, whether as a result of new information, future events, or otherwise.